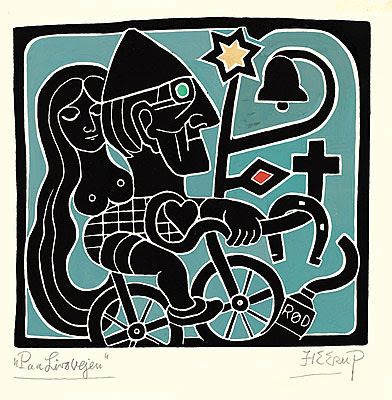 One of Denmark's most respected and loved artists of the last century is Henry Heerup. 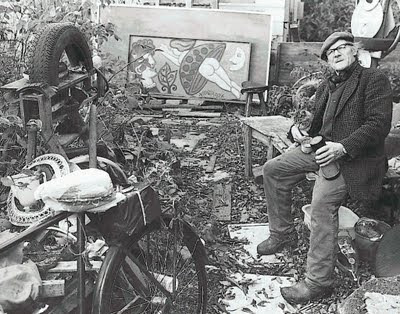 He passed away in 1993 but his work lives on in Danish culture and there is a museum dedicated to his life and work just outside of Copenhagen. 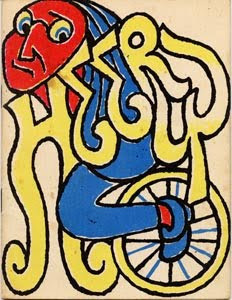 Heerup was also a member of the famed COBRA art movement. 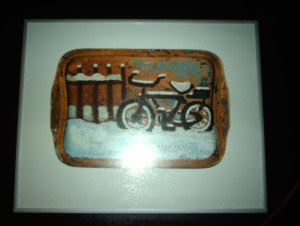 Here he is in his backyard with his bicycle close at hand and below are a couple of other examples of his work featuring the bicycle... or unicycle. 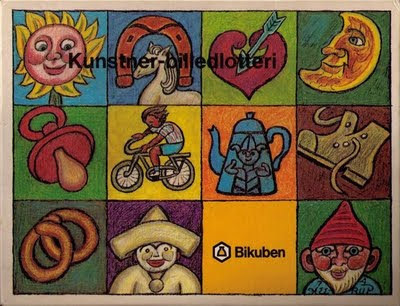 Danish culture has an unrivalled number of songs, poems, literary works and artworks dedicated to the bicycle. Most of them are pre-1950's, but the bicycle is still a main feature in song and film/television. Heerup's granddaughter is a friend of mine and she is an artist in her own right. Although sans vélo in her motives.